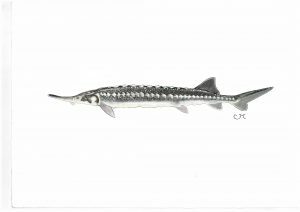 Stellate Sturgeon (Acipenser stellatus) is also known as Starry Sturgeon, because of the distinctive star-shaped bone plates on its body. It is one of the main sturgeon species famous for producing caviar, together with the Beluga and Russian Sturgeon. 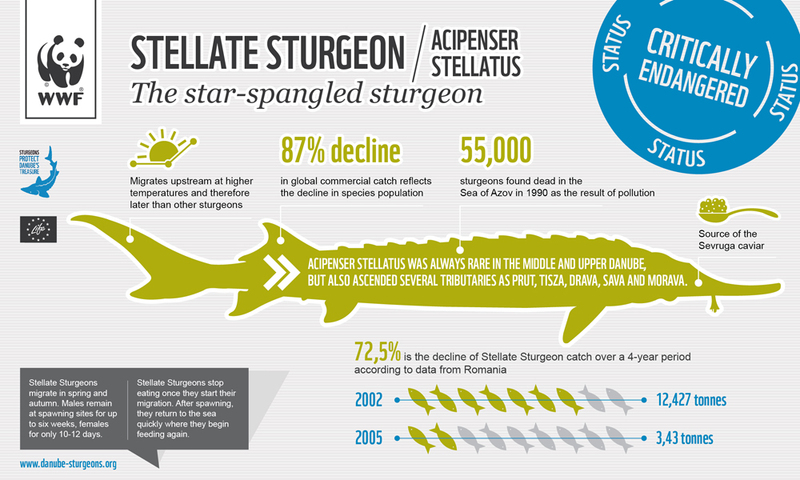 Stellate Sturgeons are listed as Critically Endangered. 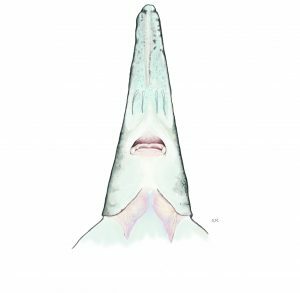 Stellate Sturgeons stop eating once they start their migration. After spawning, they return to the sea quickly where they begin feeding again. 87% decline in global commercial catch reflects the decline in species population. 55,000 sturgeons found dead in the Sea of Azov in 1990 as the result of pollution. and therefore later than other sturgeons. Source of the Sevruga caviar.